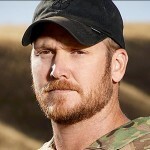 Chris Kyle was born April 8, 1974 in Odessa, Texas. He was a US Navy Seal and sniper, credited with the most confirmed kills in US history at 160. He received several honors including two Silver Star Medals and five Bronze Star Medals. Kyle’s autobiography American Sniper was published in 2012 and was made into a movie which premiered in 2015. Kyle was killed on the shooting range in Erath County, Texas, allegedly by Eddie Ray Routh, a marine veteran he was helping to overcome post traumatic stress disorder. Kyle is survived by his wife Taya, and two children. We’ve waited two years for God to get justice for us on behalf of our son and, as always, God has proved to be faithful. We’re so thrilled that we have the verdict that we have tonight. I heard Mr. Routh say, ‘I shot them because they wouldn’t talk to me. I was just riding in the back seat of the truck and nobody would talk to me. They were just taking me to the range, so I shot them. I feel bad about it, but they wouldn’t talk to me. I’m sure they’ve forgiven me. Ventura wins over $1.8 million in damages. The lawsuit began when author Chris Kyle claimed to have punched out Ventura in a bar over criticisms of Navy SEAL involvement in Iraq. After Kyle dies in 2013 Ventura continued his lawsuit against the author’s estate. I can’t go to UDT-SEAL reunions anymore because that was the place I always felt safe, and who will be next to throw me under the bus? I’d have to spend my time looking over my shoulder. Apparently Mr. Kyle works with people that are suffering from some issues that have been in the military and this shooter is possibly one of those people, that he had taken out to the range to mentor, to visit with, to help him, you know, that’s all I can tell you. Kind of have an idea that maybe that’s why they were at the range, for some type of therapy that Mr. Kyle assists people with, and I don’t know if it’s called shooting therapy. I don’t have any idea but that’s what little bit of information that we can gather so far.